Carpeting and Upholstery: Focus first on the interior carpeting and upholstery. Using a damp towel, wash down the seats. Get rid of any rock salt debris, mud or dry dirt on the carpeting using a carpet-cleaning machine, if possible. Organize: Clean out the compartments. In your rush to get inside and out of the cold during the winter, you may have debris, trash or just too much stuff in the car. Get the compartments cleaned out and organized. The Windows: Shine the windows. After all that winter driving, the windows will need a bit of extra attention. Clean the inside and outside using a window cleaner. Shine them with a dry towel. Do the mirrors of the vehicle in the same way. The Trunk: Check the trunk of the vehicle next. Clean out the wintertime mess. This is also a good time to make sure the spare tire is in good repair. Be sure your emergency kit is in order too. Vacuum the trunk out. The Exterior Body: Look at the exterior of the car. A good car washing is often in order. Make sure the first spring car wash is a thorough one that gets the winter grime out of cracks and under the edges. Use a soft towel and a mild detergent to wash the vehicle down. The Wheels: Pay some extra attention to the wheels. Remove the hubcaps and wash them down. Scrub the tires and wheel wells thoroughly. This is also a good time to check the tire pressure and to tighten up any loose lug nuts. Under the Hood: Look under the hood next. Leaves, debris and even dirt can get into the engine area. In some cases, just wiping down the edges is enough. In other cases, you may need to consider having the engine wiped off or professionally cleaned. Waxing: Waxing the exterior of the car is a good idea, as long as you do so out of direct sunlight. Choose a spray or liquid wax for the best results. If you are using a new product, test it on a hidden portion of the car’s body to ensure it works properly. Replace Wipers: After a harsh winter, many vehicles require new windshield wipers. Having wipers in good working order is necessary, especially during intense spring showers. 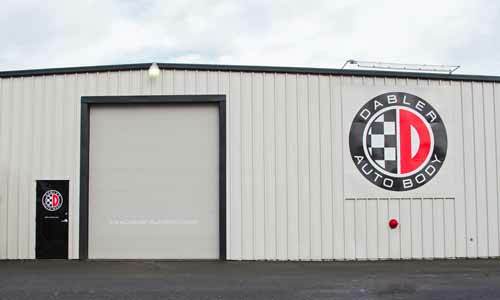 This entry was tagged ASE Certified, auto, automotive, body, frame, I-Car, I-CAR Gold Class, lifetime warranty, oregon, paint-less dent removal, repair, Salem. Bookmark the permalink.